3М 6075 А1+Form organic vapor + Formaldehyde cartridge. Filters to protect against organic vapors with the boiling point > 65°C plus Formaldehyde vapors. 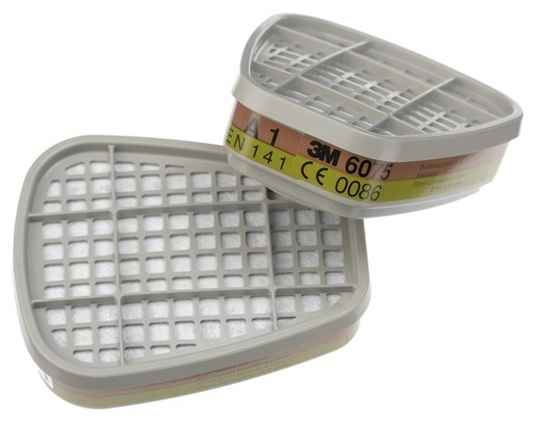 They can be used with 3M 6000 or 7500 series half masks in concentrations of organic vapors up to 10 TLV or 1000 ppm and with 3M 6000 full face respirators in concentrations up to 200 TLV or 1000 ppm, 10ppm for formaldehyde. Bayonet connection. Pack of 2 filters.